What Kind of Estate Plan is Right for You? Is your estate plan in good shape? Here’s what to consider . . . Most Americans haven’t made even a simple will, to say nothing of a more comprehensive plan to avoid probate or save estate taxes. And most who have made estate plans haven’t updated them in many years. Depending on your age, health, and wealth, you may not need to do much at all in the way of estate planning. However, everyone needs a few estate planning documents, such as a will or trust, a medical power of attorney, a financial power of attorney, and a living will. An experienced estate planning attorney can assist you in determining what type of documents are best for you. 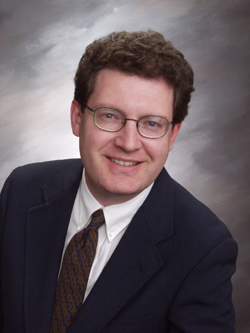 Peter G. Schmerl is an experienced estate planning attorney. He limits his practice to estate planning, probate, guardianships, conservatorships, juvenile law, adoptions and general business representation. He is a graduate of Amphitheater High School in Tucson, the University of Arizona, and the University of Arizona College of Law. A resident of Green Valley, Peter is a member and Past President of the Kiwanis Club of Green Valley, a member of the Salvation Army Green Valley Advisory Committee, and a member of the Continental School District Governing Board.